Daniel Timms alleges he was sent to the cell next to Knight to help manufacture evidence against him. 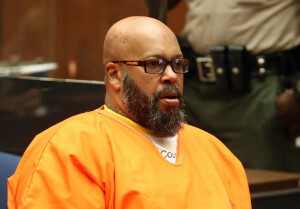 LOS ANGELES ― A prolific jailhouse informant who has worked inside county jails here said that he was ordered by a Los Angeles County sheriff to create false testimony surrounding rap mogul Marion “Suge” Knight. The informant told Knight’s lawyers that evidence exists, but has been intentionally withheld by law enforcement, that Knight was acting in self-defense when he killed one man and injured another with his truck in Compton, California, last year. The bombshell allegations from Daniel Timms, who said he had worked on Knight’s case, could be a boon for Knight, who sits in jail awaiting trial on murder and attempted murder charges. Timms’ claims could also cast doubt on convictions in several other criminal cases that he said he worked as a paid jailhouse informant over the last 14 years. He told Knight’s legal team that he was ordered to provide false testimony in those cases as well, again by the Los Angeles County Sheriff’s Department. An investigator for Knight’s lawyers conducted several interviews with Timms, and they provided the audio of one to The Huffington Post. (We are not making the audio publicly available in order to protect people potentially identified in the recording.) HuffPost was unable to immediately reach Timms himself, who was in jail. An unrelated jailhouse informant scandal has been raging for several years in next-door Orange County. While there has been significant media coverage, including in HuffPost, that scandal has not yet made its way into the cable news cycle or the national conversation. Timms’ allegations could change that, too. To be sure, informants are not the most credible sources of information, and the most favorable view of Timms says he is now admitting to being a serial liar in the past. It’s possible he has other motives for making his current claims. Still, the dubious reliability of informants in general hasn’t stopped prosecutors from making use of them in court. And Timms was able to give Knight’s attorneys a slew of information about a variety of cases that they said checked out as accurate, lending some credence to his version of events. A criminal record search for Timms turns up a string of felony arrests and convictions that would be consistent with the life of an informant. Knight’s defense attorneys are putting their full weight behind Timms’ allegations, requesting formal investigations into his claims by California Attorney General Kamala Harris and U.S. Attorney General Loretta Lynch. In a pair of letters to Harris and Lynch, dated July 10 and provided to HuffPost, lawyer Thaddeus Culpepper details the findings from the series of interviews that Knight’s defense team conducted with Timms. Knight, a music industry titan known for an aggressive and at times violent approach to business, rose to fame in the 1990s with his gangsta-rap label, Death Row Records, which released seminal albums from the likes of Dr. Dre, Tupac Shakur and Snoop Dogg, as well as scores of other releases from West Coast hip-hop artists. Death Row would sell tens of millions of albums before it eventually buckled under the weight of debt and mismanagement. The company filed for bankruptcy in 2006 and two years later was auctioned off to a new owner. Timms told Knight’s attorneys that Sgt. Richard Biddle and Lt. Barry Hall of the LA County Sheriff’s Department urged him to lie about what Knight said when they were housed next to each other in jail. The two detectives allegedly directed Timms to say that “Knight intended to be violent and showed no remorse in injuring or taking the victim’s life,” according to Culpepper’s letter. But Knight never said any such thing, Timms told his defense team. In exchange for that false testimony, Timms said he was promised that his wife’s nephew, Devin Gonzales, would receive a drastically reduced sentence in a murder case in which he faced 70 years to life. Court records confirm that a plea deal with a much shorter sentence was struck in Gonzales’ case. Csaba Palfi, a lawyer for 36 years in California, said that he knows of Timms from at least one prior case and that he’s seen him in jail during visits. While visiting one of his clients within the last few months, Palfi said he saw Knight in a visiting booth and Timms in the adjacent booth. “There’s no door on most of these, and you can hear what people are saying,” the lawyer added. “I’m gonna do Suge. I don’t need Suge to talk. I just need my presence next to Suge. I don’t need Suge to say nothin’. During one of his interviews with a lawyer and an investigator on Knight’s legal team, Timms corrected the pair when they suggested it was his job to get Knight to implicate himself. Throughout that particular audio heard by HuffPost, Timms was schooling his interviewers in the nature of confidential informant work. So that he’d be fully informed on the case, Timms told Knight’s lawyers, Hall showed him Knight’s “murder book” ― a law enforcement term for all the evidence, interviews, reports and notes compiled during the course of a murder investigation. That murder book contains evidence that could possibly get Knight acquitted, Timms told defense lawyers. He said there was an eyewitness who told police that several men surrounding Knight’s truck appeared to be armed. But Biddle allegedly told Timms that the detectives intended to withhold that information from the Los Angeles County District Attorney’s Office so that it would not have to be disclosed to the defense. Beyond Knight’s case, Timms said his work as a jailhouse informant for the sheriff’s department included creating false testimony to secure other convictions. An investigator working with Knight’s defense team confirmed at least five cases that matched Timms’ descriptions. But Knight’s lead attorney in his murder case, J. Tooson, told HuffPost that the April motion did not include the full scope of allegations included in the July letter, nor did it include the audio recordings that Knight’s defense team made with Timms. He also argued that Ryan’s ruling was narrowly focused on a challenge to Knight’s visitation rights. “I don’t understand how this is old news when we have this audio recording with case names and attorneys who Timms says he worked with,” Tooson said. Robison also flatly denied that Timms had ever worked as an informant in Knight’s case. Moreover, in his letter, Culpepper argued that Timms’ testimony appears to be “eerily similar” to the jailhouse informant scandal rocking Orange County. The Orange County District Attorney’s Office has been under fire for almost three years for its involvement in a secret jailhouse informant program that has allegedly violated the rights of countless defendants. Assistant Public Defender Scott Sanders has been arguing since 2013 that a tainted snitch network has operated in county jails for decades. Sanders contends that county prosecutors and police have violated multiple defendants’ rights by illegally obtaining, and sometimes withholding, evidence gleaned from those informants. After denying it for years, the district attorney’s office finally acknowledged last month that there is an informant program and that sheriff’s deputies actively “cultivated,” “recruited” and “utilized” informants, rewarding them in exchange for their information. Additionally, a trove of secret notes kept by sheriff’s deputies recently surfaced, shining new light on the use of informants. Harris, the California attorney general, is investigating the allegations out of Orange County, and there have been numerous calls for a federal probe as well. “If [Timms’] allegations are true … it’s a slap in the face to the California justice system, to the legal community and to the California public. Across the country, law enforcement authorities deploy jailhouse informants to help bolster a case — a tactic that’s perfectly legal, even when the snitch receives something in exchange. But Timms’ allegations that members of the sheriff’s department ordered him to engage with Knight about his case, as well as to testify falsely about Knight, are not legal tactics. If Timms’ allegations wind up being true, it would be nothing short of shocking for Los Angeles County, which in recent years has been touted as an exemplar of proper informant protocols. It wasn’t always that way. Those protocols were developed following a blistering 1990 grand jury report that found widespread misuse of informants and illegal conduct that may have tainted hundreds of cases. There were “numerous cases” in which informants lied on the stand, inmates who said they were “sent on a mission” by law enforcement to obtain damning information from other inmates, and a system operated by the sheriff’s department and the DA’s office that provided informants with “a strong motivation to fabricate” testimony, according to the report. To this day, cases are unraveling due to wrongdoing from that period. Following that damning report, the DA’s office overhauled its informant program rules. It developed a jailhouse supervisory committee and an informant registry, and instituted strict scrutiny over the use of informants in criminal cases. Or so people said. Suge is the Barry Gordy of gangsta rap on the west coast he helped women dr dre beat the hell out of little kids and adults from Compton he always cared about his community and invested everything in them he was a good man who grew up in a dangerous city and got a college degree gave back 2 and invested in his community. He is entitled to his civil rights how is it a Mexican cartel leader who has murdered hundreds of women men and children good old el chappo get treated better than suge knight unbelievable. El chappo was left alone to escape while suge who has never escaped is in solitary confinement 2 yrs he should be free his civil rights have been violated he is an American and he has helped others just ask dr.dres x wife who said suge is a big old teddy bear compared to dr.dre if that don’t tell you somenthing about suges character I don’t know what will he helped a battered woman and fed dr.dres wife and child when dre would just beat the hell out of her. I guess if your a billionaire you can beat on who ever you want truly a shame!